Don’t you hate it when a blogger shares a fabulous DIY project that you’d love to do yourself but you only have, like, 5 MINUTES before you’d need the finished product? Me too! 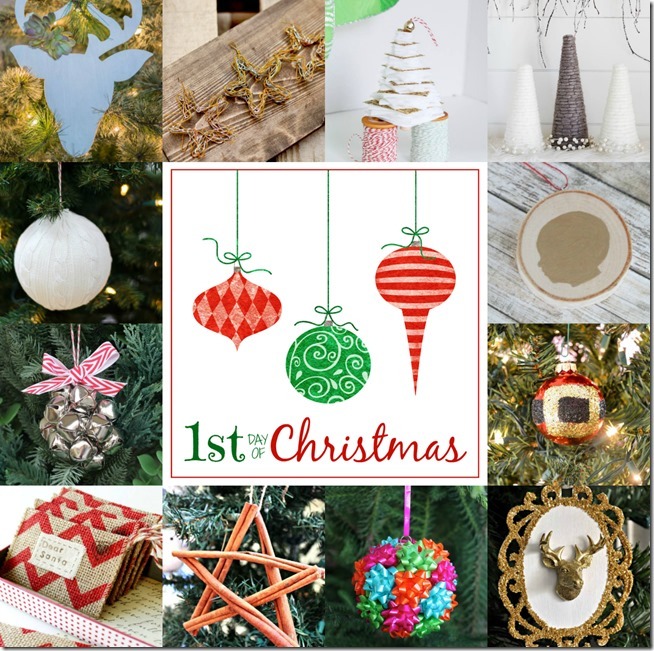 That’s why 11 of my blogging friends and I have decided to get together and bring you 12 days of DIY Christmas ornaments for you to enjoy, ponder, and consider recreating yourself for the holidays – with plenty of time to spare! 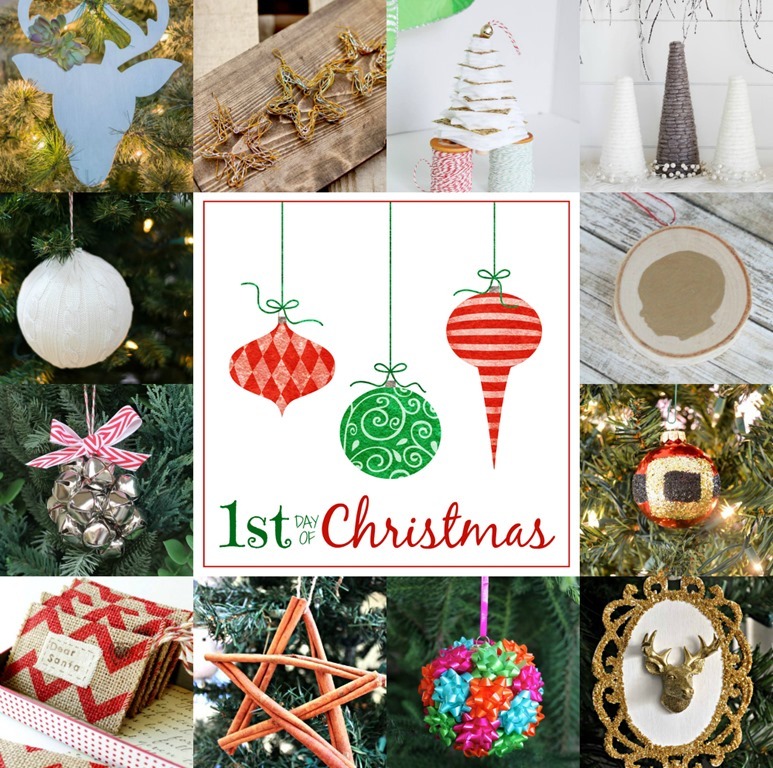 Here’s how it’s going to work: 12 bloggers are each going to share 12 handmade Christmas ornaments over the next 12 days – giving you 144 ideas of ornaments you can make yourself to wow your friends and family this holiday season. I simply peeled off the paper backing of the mini gift bows and placed them onto the ornament, starting at the top and working my way down to the bottom. I used just shy of three tubes (22 mini bows) for my ornament. Nothing like an easy DIY to get this Christmas craziness started! Love the bright colors of the bows. Excited to be crazy Christmas craftiness with you! Thank you so much, Chaney! I used to be a strictly gold and bronzes Christmas decor kind of girl, but after Kate was born and our house was covered in primary and pastel-colored toys I learned to embrace color. Know we go all out with colorful Christmases every December. I’m excited to be joining you on this crazy craft 12 day adventure as well – so fun! First, love, love this idea! I spotted those dollar bin bows at Michaels too and now I need to run back there and scoop them all up! Second, thank you for that shout out! And third, so happy to be crafting with you this holiday season!!! Thank you so much for your sweet words and all of the work you put into organizing this, Linda! As I mentioned in my email, it’s equal parts exciting and challenging, and I’m happy to be along for the ride! What a clever idea! It’s a good thing that I need to go to Michaels today because I’m picking up a bag of those bows so that I can make one of these for my own! I This would make a cute “mistletoe ball”…at least that’s what I’m thinking! Thank you so much, Kimberly! I love the idea of using this as a gift bow mistletoe ball – how fun! Cute times a million! This is so darn cute! Can’t wait to show it to my daughter. My kids are having a separate tree this year. I’m can see a lot of these on our tree. Thank you so much, Vidya! This would be a super fun one to do with kids!